We just completed a budget friendly install for this 2001 Winnebago Adventurer. We installed 2x AM Solar SF160 and 1x AM Solar SF180 solar panels for a total of 500w with an AM Solar Roof Combiner Box, Victron 100/50 MPPT SmartSolar Charge Controller and Victron BMV-712 Smart Battery Monitor. 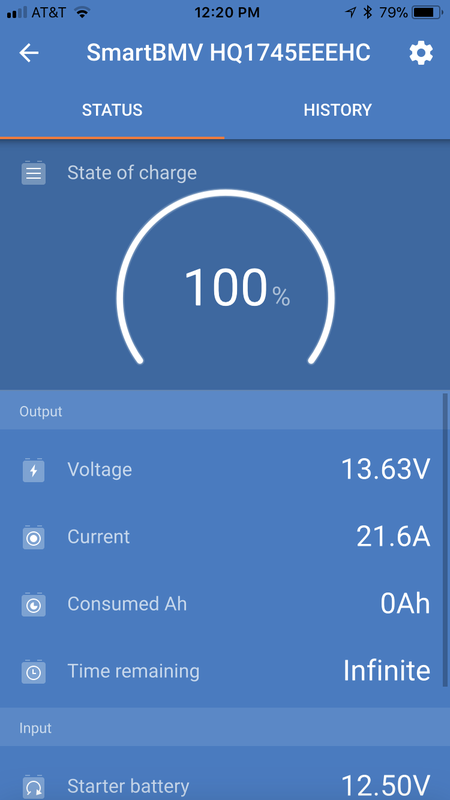 The charge controller and battery monitor are both accessible through the use of Bluetooth using the VictronConnect app on their smartphones, and the battery monitor also includes an easy to use monitor that can be mounted virtually anywhere inside the coach.